Nottingham Forest couldn't have drawn a game if their life depended on it in the first half last season. Matchday 23 was the first time they recorded a stalemate, and from there they couldn't stop, drawing seven in the second half of the campaign, including six goalless draws. Aitor Karanka, who took over in early January, is the key mitigating factor. The Spaniard has continued churning draws out this season, with three of their four Championship games so far ending all square. The crucial difference, however, is that not a single one of those draws so far has been goalless. You'll rarely see a more dramatic conclusion than in their 1-1 draw with West Brom, and a point was snatched at the death at Wigan last weekend. Even their Carabao Cup first-round clash with Bury, which finished 1-1 after 90 minutes, saw Forest eventually win 10-9 on a penalty shoot-out. 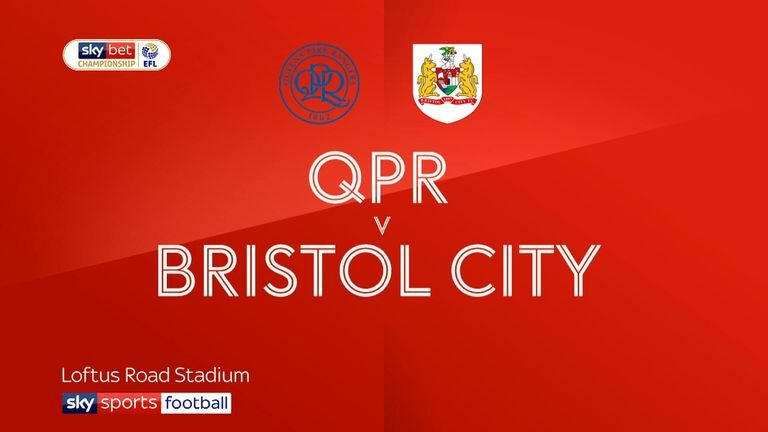 Up next is Birmingham on Saturday evening, live on Sky Sports Football. Garry Monk's side have lost all three away games this season in league and cup without scoring, and haven't netted at all since the opening day. If this was last season the game would have 0-0 written all over it, but Karanka knows more needs to be done with the attacking talent now at his disposal. This is as good a game as Forest are going to get to lay down a marker. Who is at fault for Stoke's poor start? It's never too early for a manager to be sacked. We have, in fact, already lost two this week from the Football League and Gary Rowett will know better than anyone that he could be out the door sharpish if results do not improve. Stoke's opening-day defeat was written off due to the brilliance of Leeds, but since then they have drawn two and lost one, with that defeat being a desperate 3-0 defeat at home to Wigan on Wednesday night. The assumption was that Stoke's squad combined with Rowett's Championship know-how would prove too strong for this level, but so far that has not been the case. Hull at home on Saturday should be where Stoke's season starts. "There comes a certain point where you have to question how good these players like Joe Allen, Jack Butland and Ryan Shawcross are," said Ali Maxwell, from The Not The Top 20 podcast, on EFL Matters on Thursday. "We assumed they would be better than this level but the performances to this date aren't proving that. "Maybe there's a problem with the system because they're not playing with confidence and don't look sure of themselves. Marcelo Bielsa installed his pretty quickly at Leeds and maybe Rowett's isn't working or it's taking some time to implement. But ultimately they're failing at the moment and it won't fly for much longer." Maxwell was joined on the show by his fellow podcaster George Elek, who added: "The result against Wigan was really poor. You feel if they can turn it around they should get back towards the top of the table but Rowett is under a bit of pressure for one of the first times in his career. "It's been a big test for him and it will be a big test to see how he can win the fans around and get them back on the winning trail." A quick glance at last season's table would suggest that four games into a campaign is far too early to draw any conclusions about a team's fate. This time last year Ipswich were second with a 100 per cent record, Brentford and Millwall were in the bottom three and Fulham were 19th. QPR, however, look in a right spot of bother. The appointment of Steve McClaren certainly raised a few eyebrows and he's done little so far to suggest that he's not a spent force at this level. There is all kinds of trouble away from the pitch at the club and results have reflected those struggles, with zero points accrued, just two goals scored and 13 conceded. McClaren is already bemoaning a lack of signings and the boos were ringing around Loftus Road long before full-time of their 3-0 defeat to Bristol City on Tuesday night, a result which followed a 7-1 defeat at West Brom on Saturday. "It (being booed) is society now," said McClaren following their miserable loss to Bristol City. "It's the reaction and this is normal. It's not been a good start. Am I determined to put this right? Yes. "I knew this was a tough job and it wouldn't happen overnight. The message to the supporters, and it's a difficult one, is patience." Wigan at home on Saturday has become a massive game all of a sudden. The Latics are a promoted club but have started the season superbly. If they can repeat their performance against Stoke again at Loftus Road then McClaren may find patience a very difficult thing to come by. First, a caveat. Barnsley are not top of Sky Bet League One and full credit has to go to Peterborough and Portsmouth for the way they've begun their campaigns. 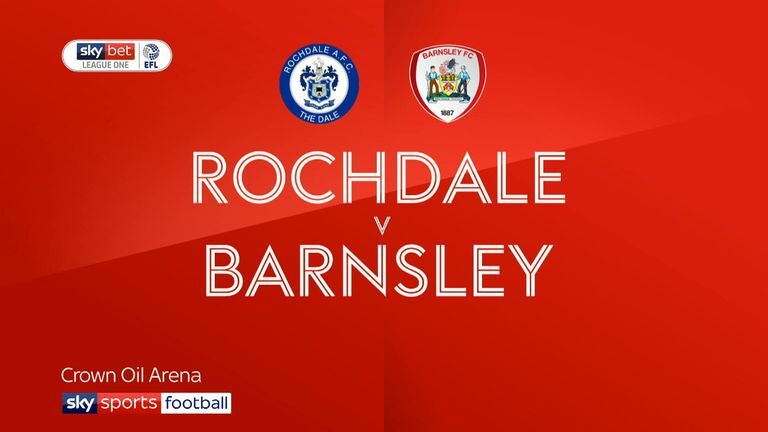 The reason Barnsley deserve a mention, though, is that in their four games so far, from which they've picked up three wins and a draw, they've yet to concede. In fact, they're the only side left in the Football League yet to let in a goal and have also become the first side in the third tier since Brentford in 2002/03 to start the season with four shut-outs. German coaches are very much in vogue in the Football League right now. The trickle-down gegenpress success of Jurgen Klopp saw Huddersfield look to David Wagner, Norwich seek out Daniel Farke and now Barnsley have put their trust in Daniel Stendel. "We've identified that the counter-press has been used by the most successful teams in the world and Daniel is one of the best coaches at doing that," Barnsley chief executive Gauthier Ganaye said upon Stendel's appointment in June, highlighting a clear vision for the club that clearly wasn't there when they appointed Jose Morais to replace Paul Heckingbottom. "We identified him as a candidate as he's a coach that has a style of play that matches the mentality of club and town, it's attacking with flair and high intensity designed to press the opposition." The only blot on their copybook so far was a goalless draw against AFC Wimbledon, but aside from that there have been 4-0 dismantlings of Oxford and Rochdale and a 2-0 win at Bradford. No side in the third tier has scored more. Saturday sees the Tykes travel to Scunthorpe, who have parted ways with manager Nick Daws after shipping eight goals in their last two games without scoring. There is every chance a similar scoreline could be on the cards at Glanford Park. Paul Tisdale was, for a few glorious days in May, finally the longest-serving manager in English football. Arsene Wenger had departed Arsenal and Tisdale, having spent more than 12 years at Exeter, was finally top of the pile. That came to a crashing end fairly quickly as he departed St James Park following their play-off final defeat, turning down a new contract and joining relegated MK Dons a few days later. Tisdale's side now host Exeter on Saturday afternoon. MK Dons started the season well with two victories, but two draws have since followed and now they find themselves two points off the pace. That pace, however, is currently being set by Exeter, who have started fantastically well under new manager Matt Taylor. Tisdale knows it will be an emotional occasion for him, but he insists he's fully focused on the task at hand. He said: "Of course there are players in that team that I know, but I'm 100 per cent focused on the players I've selected and the subs who can change the game and the supporters supporting MK Dons - that's the way it has to be. "When I thought about leaving Exeter, I didn't think I'd be coming up against them in the same league in the future, but here we are. More people outside are talking about it than we are here, but I can't ignore the fact that I've got 12 years of history there so of course there are emotions. But generally, it will be a football match, me with 11 players against another manager with 11 players."